Sign Up Now to March With NUMB This Fall! 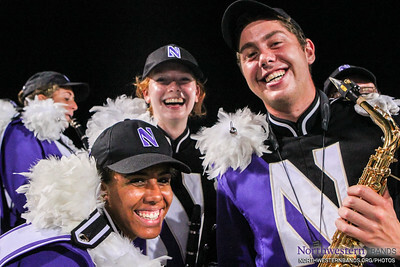 Northwestern's athletic bands offer experiences which encompasses all corners of campus. This organizations provide wonderful opportunities for you to "get away" from the daily grind and meet students from all parts of campus, many of whom will become your closest friends. Flexible scheduling ensures that band activities do not interfere with academic responsibilities and allows you plenty of time to enjoy other college experiences. Big Ten sports, a great musical experience, lifelong friends, an opportunity to contribute to and become an important part of Northwestern, and an instant sense of belonging are just some of the things you'll enjoy when being as a member of the Northwestern's athletic bands. Join us for the experience of a lifetime!